• B Sc (Bachelor of Science) First Rank holder. • Best paper award for the work “EMI Shielding properties of Polyaniline MWNT composites”, at Knowledge Utsav, organized by the Jain University, Bangalore, India. • Ph.D. Thesis paper selected for ‘Thesis Award’ at 59th DAE (Department of Atomic Energy)-SSPS (Solid State Physics Symposium)-2014 held at VIT University, Vellore, Tamil Nadu, India, during December 16-20, 2014. • Best paper award for the guided Student Project on “Effective Humidity Sensor Based on Conducting Polymer Nano-Composites”, at @ Make in India National Level Paper Presentation Contest conducted by Project Council, Government of India (ECI Initiative) on 19th November, 2016 at Sathyabama University, Tamil Nadu, India. • Life member ‘Society for Materials Chemistry (SMC)’, India. • Life member ‘Society for Industrial Chemistry, India. • Life member ‘The Indian Science Congress Association’, India. • Conducting polymers and conducting polymer composites. • Synthesis, characterization and analysis of low frequency transport and dielectric properties. • Microwave property studies, especially analysis of Electromagnetic interference (EMI) shielding and dielectric attributes. • Sensors based on conducting polymer composites. • Conducting polymer/graphene composites for electronic applications. • Electromagnetic properties of Fly ash. Associated with the Research Project “Electromagnetic Interference Shielding Applications of Conducting Polymer Nano Composites” at Visvesvaraya Technological University Research Project Laboratory, PES Institute of Technology-Bangalore South Campus (September 2009 to September 2011). • Synthesis of conducting polymer composites for technologically relevant applications. • Characterization (SEM & TEM, XRD, FTIR, TGA, DTA and DSC) of conducting polymer nano-composites. • Electric and dielectric properties of conducting polymer composites. • Humidity sensing characteristics of conducting polymer composites. • Study of EMI shielding properties of conducting polymer composites. • Microwave properties of conducting polymer composites in various broadband frequency range. • Research level projects with students - Aimed at presenting at various conferences and college fests. Manocha, T.T.Jocelyn, Hana Fathima, V.Suveetha and Muhammad Faisal, “Polyaniline/lead titanate composites for humidity sensing and EMI shielding applications”, AIP Conf. Proc., 1665, 140018 (2015). S. Rahul, T.P.M. Pais, S.N., S.A. Ali, and Muhammad Faisal, “Polyaniline-copper oxide composite: A high performance shield against electromagnetic pollution”, AIP Conf. Proc., 1665, 140021 (2015). Ranjini R. Mohan, Sreekanth J. Varma, Muhammad Faisal, S. Jayalekshmi, “Polyaniline/graphene hybrid film as an effective broadband electromagnetic shield ”, RSC Advances, 5 (2015), 5850-5857. Muhammad Faisal, S. Khasim, “Broadband electromagnetic shielding and dielectric properties of polyaniline-stannous oxide composites”, Journal of Materials Science: Materials in Electronics, 24 (2013) 2202-2210. Muhammad Faisal, Syed Khasim, “Polyaniline-antimony oxide composites for effective broadband EMI shielding”, Iranian Polymer Journal, 22 (2013) 473-480. Muhammad Faisal, Syed Khasim, “Electrical Conductivity, Dielectric Behavior and EMI Shielding Effectiveness of Polyaniline-Yttrium Oxide Composites”, Bulletin of the Korean Chemical Society, 34(1) (2013) 99-106. Muhammad Faisal, S. Khasim, “Polyaniline-Stannous Oxide Composites: Novel Material for Broadband EMI Shielding”, Advanced Materials Research, 488-489 (2012) 557-561. Muhammad Faisal, S. Khasim, “Electromagnetic Absorption and Shielding Behavior of Polyaniline-Antimony Oxide Composites” American Institute of Physics-Conference Proceedings, 1512 (2013), 1218-1219. Muhammad Faisal, Syed Khasim, “Ku-band EMI Shielding Effectiveness and Dielectric Properties of Polyaniline-Y2O3 Composites”, Polymer Science Series A, 56(3) (2014), 366-372. Syed Khasim, Raghavendra SC, Revanasiddappa M, Sajjan KC, Mohana Lakshmi, Muhammad Faisal, “Synthesis, characterization and magnetic properties of polyaniline-γFe2O3 composites”, Bulletin of Materials Science, 34(7) (2011), 1557-1561. Muhammad Faisal, Syed Khasim, “X-band microwave absorption and dielectric properties of polyaniline-yttrium oxide composites”, e-Polymers, DOI-10.1515/epoly-2013-0079. Syed Khasim, Muhammad Faisal, “Comparative study on broadband EMI shielding properties of some polyaniline composites”, The Journal of Materials Science: Photon, 119 (2013), 155-165. C. Sajjan, Muhammad Faisal, B.S. Khened, Syed Khasim, “Humidity sensing properties of polyaniline/potassium molybdate composites”, International Journal of Electrical Engineering and Technology, 4(2) (2013) 179-186. C. Sajjan, Muhammad Faisal, B.S. Khened, Syed Khasim, “Electrical conductivity, dielectric behavior, and humidity sensing properties of polyaniline-graphite oxide composites”, International Journal of Electrical and Electronics Engineering, 2(2) (2013) 67-76. C. Sajjan, Muhammad Faisal, S.C. Vijaya Kumari, Y.T. Ravikiran, Syed Khasim, “Humidity sensing property of polyaniline-chromium oxide nanocomposites”, American Institute of Physics-Conference Proceedings, 1536 (2013) 289-290. Mohana Lakshmi, Aashis S. Roy, Syed Khasim, Muhammad Faisal, K. C. Sajjan, and M. Revanasiddappa, “Dielectric property of NiTiO3 doped substituted ortho-chloropolyaniline composites”, AIP Advances, 3 (2013) 112113-112127. Muhammad Faisal, Priya P, Prajna C K, Sowmya G, Sri Vignesh M S, Make in India “effective humidity sensor based on conducting polymer nano-composites” (Guide: Muhammad Faisal) @ Make in India National Level Paper Presentation Contest conducted by Project Council, Government of India (ECI Initiative) on 19th November, 2016 at Sathyabama University, Tamil Nadu, India. (Best Paper award). Muhammad Faisal, ‘Multifunctional Conducting Polymer Nano-composites’, Invited Talk @ Second International Conference on Advanced Materials for Power Engineering-ICAMPE 2016, held at Mahatma Gandhi University, Kerala on 11-13th Nov 2016. Zuhaib Nissar, Azharuddin Kazi, Mir Safiulla and Muhammad Faisal, Thorough Study: In-Situ Aluminium Metal Matrix Composites Reinforced with Iron Oxide and Multi-Wall Carbon Nanotubes, International Conference on Nanotechnology (IC-NANO) 2016 organized by Department of Nanotechnology, Center for Post Graduate Studies, Visvesvaraya Technological University, Bengaluru Region, during 21-23 April, 2016. Muhammad Faisal, Ritwik Giri and Shivam Sood, Polyaniline-coated SnO/Y2O3 nanocomposites for broadband EMI shielding and microwave absorption, International Conference on Nanotechnology (IC-NANO) 2016 organized by Department of Nanotechnology, Center for Post Graduate Studies, Visvesvaraya Technological University, Bengaluru Region, during 21-23 April, 2016. Melina Jennifer, Jigyasa Maheshwari and Muhammad Faisal, Polyaniline-coated barium ferrite composites: Study on broadband electromagnetic interference shielding and humidity sensing properties, National Conference - RISE (Recent Innovations in Science & Engineering) 2016, organized by the Dept of Mechanical Engineering, PES Institute of Technology-Bangalore South Campus on 30th April 2016. Muhammad Faisal, Moinuddin S and Pavan K A, Polyaniline-coated SnO/Y2O3 nanocomposites for electromagnetic interference shielding and humidity sensing applications, 8th Bangalore Nano held at The Lalit Ashok, Bengaluru, form March 3-5, 2016. 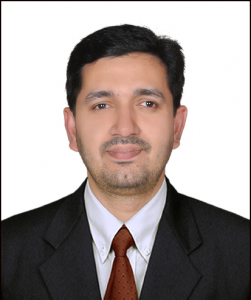 Muhammad Faisal, ‘Multifunctional polyaniline/antimony oxide composites’, 103rd Indian Science Congress (103rd ISC) 2016, held at Mysore University, Mysuru, Karnataka, from 3 - 7 Jan, 2016. Muhammad Faisal, ‘Broad band EMI shielding and dielectric properties of conducting polymer composites’, Invited Talk @ International Conference on Advanced Materials for Power Engineering-ICAMPE 2015, held at Mahatma Gandhi University, Kerala on 13th Dec 2015. Kshitij Shukla, Ritwik Giri, Sreekanth J. Varma, and Muhammad Faisal, “Polyaniline/antimony oxide composites for humidity sensing and electromagnetic interference shielding applications”, National Conference - RISE (Recent Innovations in Science & Engineering) 2015, organized by the Dept of Mechanical Engineering, PES Institute of Technology-Bangalore South Campus on 2nd May 2015. Muhammad Faisal and Sreekanth J. Varma, “Fly ash incorporated polyaniline as a high performance shield against electromagnetic pollution”, International Conference on Energy Harvesting, Storage and Conversion (IC-EEE 2015), organized by the Department of Physics, Cochin University of Science and Technology, Cochin, Kerala, during February 5-7, 2015. Muhammad Faisal and Sreekanth J. Varma, “X-Band electromagnetic interference shielding of polyaniline/barium ferrite composites” 27th Kerala Science Congress (27th KSC)-2014, held at Alappuzha-Kerala, India, during January 27-30, 2015. Aarushi Manocha, Jocelyn T. Thomas, Hana Fathima, Suveetha V. and Muhammad Faisal, “Polyaniline/lead titanate composites for humidity sensing and EMI shielding applications”, 59th DAE Department of Atomic Energy)-SSPS (Solid State Physics Symposium)-2014 held at VIT University, Vellore, Tamil Nadu, India during December 16-20, 2014. Duvvuri Surya Rahul, Tyson P.M. Pais, Sharath N., Syed Amjad Ali, and Muhammad Faisal, “Polyaniline-copper oxide composite: A high performance shield against electromagnetic pollution” 59th DAE Department of Atomic Energy)-SSPS (Solid State Physics Symposium)-2014 held at VIT University, Vellore, Tamil Nadu, India during December 16-20, 2014. KC Sajjan, Muhammad Faisal, Syed Khasim, “Comparative study on humidity sensing properties of some polyaniline nano-composites”, Presented at Poster - Walkway of Discovery, 7th Bangalore India Nano-2014, held at The Lalit Ashok, Bangalore during December 5-6, 2014. Muhammad Faisal, Hana Fathima, Jocelyn T Thomas, Aarushi Manocha, “Low frequency ac conductivity, dielectric behavior and EMI shielding properties of polyaniline/antimony oxide composites”, International Conference on Advances in New Materials (ICAN)-2014, held at Department of Chemistry, University of Madras, India during 20th-21st June, 2014. Muhammad Faisal, Suveetha V, “Polyaniline/lead titanate composite for X-band electromagnetic interference shielding”, International Conference on Advances in New Materials (ICAN)-2014, held at Department of Chemistry, University of Madras, India during 20th-21st June, 2014. Muhammad Faisal, Ranjini R. Mohan, Sreekanth J. Varma, KC Sajjan, Syed Khasim, “Polyaniline-yttrium oxide composites for humidity sensing and microwave shielding/absorbing applications”, 26th Kerala Science Congress (26th KSC)-2013, held at Wayanad-Kerala, India, during January 28-30, 2014. Muhammad Faisal, Sreekanth J Varma, KC Sajjan, Syed Khasim, “Polyaniline-stannous oxide composites for EMI shielding and humidity sensing applications”, International union of materials research societies-International conference in Asia (IUMRS-ICA)-2013, held at the Indian Institute of Science-Bangalore, Karnataka, India, during December 16-20, 2013. Muhammad Faisal, Sreekanth J Varma, KC Sajjan, Syed Khasim, “Polyaniline-antimony oxide composites for EMI shielding and pressure sensing applications”, International conference on advanced polymeric materials (ICAPM)-2013, held at Mahatma Gandhi University, Kerala, India during October 11-13, 2013. KC Sajjan, Muhammad Faisal, Sreekanth J Varma, Syed Khasim, “EMW absorbing properties of polyaniline-chromium oxide composites”, International conference on advanced polymeric materials (ICAPM)-2013, held at Mahatma Gandhi University, Kerala, India during October 11-13, 2013. Mohana Lakshmi, Aashis S Roy, Syed Khasim, Muhammad Faisal, KC Sajjan, M Revanasiddappa, “Transport properties of ortho-chloropolyaniline- NiTiO3 composites”, International conference on advanced polymeric materials (ICAPM)-2013, held at Mahatma Gandhi University, Kerala, India during October 11-13, 2013. Muhammad Faisal, Syed Khasim, “The electrical conductivity and electromagnetic interference shielding of polyaniline-stannous oxide composites”, International conference on recent advances in composite materials (ICRACM)-2013, held at The International Center-Goa, India, during February 18-21, 2013. C. Sajjan, Muhammad Faisal, Mohana Lakshmi, Syed Khasim, “Analysis of DC and AC properties of humidity sensor based on polyaniline-chromium oxide composites”, International conference on recent advances in composite materials (ICRACM)-2013, held at The International Center-Goa, India, during February 18-21, 2013. KC Sajjan, Muhammad Faisal, YT Ravikiran, SC Vijayakumari, Syed Khasim, “Humidity sensing property of polyaniline-chromium oxide nanocomposites”, International Conference on Recent Trends in Applied Physics and Materials Science (RAM)-2013, held at Govt. College of Engineering and Technology-Bikaner, Rajasthan, India, during February 1-2, 2013. Muhammad Faisal, Syed Khasim, “Electromagnetic Absorption and Shielding Behavior of Polyaniline-Antimony Oxide Composites”, DAE-Solid State Physics Symposium (DAE-SSPS)-2012, held at IIT-B, Mumbai, India, during December 3-7, 2012. KC Sajjan, Muhammad Faisal, Syed Khasim, “Polyaniline-Graphite Oxide Composites for Humidity Sensor”, ICWNM-2012, Delhi University, Delhi, India during March 13-17, 2012. Muhammad Faisal, Syed Khasim, “Polyaniline-Stannous oxide Composites: Novel material for Broadband EMI Shielding”, International Conference on Key Engineering Materials (ICKEM)-2012, organized by IACSIT, Singapore, during February 26-28, 2012. Muhammad Faisal, M Revanasiddappa and S C Raghavendra “Direct current conductivity of synthesized Polyaniline-MnO2 Composites”, National Conference on Chemistry of Materials (NCCM)-2011, at Tumkur University on 28th September 2011. Muhammad Faisal, KC Sajjan, Syed Khasim “Electrical conductivity of synthesized polyaniline-stannous oxide composites”, National Conference on Chemistry of Materials (NCCM)-2011, at Tumkur University, Tumkur, India, on 28 September, 2011. Doopadahalli Siddalinga Swamy, Muhammad Faisal, S C Raghavendra, M Revanasiddappa, C Basavaraja “Broadband electromagnetic interference (EMI) shielding properties of polyaniline/polyvinyl alcohol/fly ash films”, National Conference on Recent Trends in Materials Chemistry and Engineering (RTMCE)-2011 at RNS Institute of Technology, Bangalore, September 29-30, 2011. KC Sajjan, Muhammad Faisal, Mohana Lakshmi, Machappa T and Syed Khasim, “Polyaniline-Potassium Molybdinate Composite for Humidity Sensor ”, International Conference on advances in materials and materials processing, held at IIT Kharagpur, Kolkata, India during December 9-11, 2011. Syed Khasim, Muhammad Faisal, “Effect of Ethylene Glycol content on Morphology and Conductivity of PEDOT:PSS Thin Films”, International Conference on advances in materials and materials processing, held at IIT Kharagpur, Kolkata, India, during December 9-11, 2011. Muhammad Faisal, M Revanasiddappa and SC Raghavendra, “Ku Band EMI Shielding Behavior of Polyaniline-Barium Ferrite Composites”, International Conference on Advanced Materials (ICAM)-2011, held at BTL Institute of Technology, Bangalore, India, during August, 2011. SC Raghavendra, Muhammad Faisal, M Revanasiddappa, “Transport and Microwave Absorption Properties of Polyester Composites”, International Conference on Advanced Materials, ICAM-2011, held at BTL Institute of Technology, Bangalore, India, during August 2011. Siddalinga Swamy, M Revanasiddappa, SC Raghavendra, C Basavaraja, Muhammad Faisal, “Electromagnetic interference shielding properties of Ag dispersed polyaniline/polyvinyl alcohol/fly ash films”, International on Advanced Materials (ICAM)-2011, held at BTL Institute of Technology, Bangalore, India during August 2011. P Sridhar, Arijit Ghosh, Karishma Anand, Zeeshan Ali, M Revanasiddappa, Muhammad Faisal, SC Raghavendra, “Ammonia Gas Sensing Properties of Polyaniline-MnO2 Composites”, International Conference on Advanced Materials (ICAM)-2011, held at BTL Institute of Technology, Bangalore, India during August 2011. KC Sajjan, Muhammad Faisal, Mohana Lakshmi, Syed Khasim, “Humidity Sensing Properties of Synthesized Polyaniline-Graphite Composites”, International Conference on Advanced Materials (ICAM)-2011, held at BTL Institute of Technology, Bangalore, India during August 2011. Mohana Lakshmi, Muhammad Faisal, KC Sajjan, Syed Khasim, “Electrical Conductivity of Synthesized Polyaniline-Titanium Dioxide Composites”, International Conference on Advanced Materials (ICAM)-2011, held at BTL Institute of Technology, Bangalore, India during August 2011. Karishma Anand, Arijit Ghosh, Sridhar Ponnaian, Md. Zeeshan Ali, M Revanasiddappa, Muhammad Faisal, SC Raghavendra “Development of Gas Sensor Setup and Study of Ammonia Gas Sensing Behavior of Some Polyaniline Composites”, National Conference on Latest Advancement in Science, Engineering and Research (LASER)-2011 held at Baba Farid College of Engineering and Technology, Punjab, India during May 26-27, 2011. Mohana Lakshmi, Muhammad Faisal, KC Sajjan, Syed Khasim “Synthesis, Characterization and Transport properties of Polyaniline-Graphite Composites”, Prof. Ram Chand Paul International Conference on Emerging Trends in Chemistry , organized by Department of Chemistry, Punjab University, Chandigarh, India, during February 11-12, 2011. SC Raghavendra, M Revanasiddappa, Muhammad Faisal, PM Hadalgi “EMI Shielding properties of Polyaniline-Flyash composites”, Functional Polymers, an International Conference organized by the department of Chemistry, NIT Calicut, India, during January 28-30, 2011. Syed Khasim, SC Raghavendra, M Revanasiddappa, KC Sajjan, Mohana Lakshmi, Muhammad Faisal “Effect of Post Treatment on Electrical Properties of PEDOT- PSS Thin Films”, International Symposium on Materials Chemistry (ISMC)-2010, held at BARC, Mumbai, India during December 7-11, 2010. Muhammad Faisal, M Revanasiddappa, SC Raghavendra, “X-Band Electromagnetic Interference Shielding Effectiveness (EMI-SE) of Polyaniline-MnO2 Composites”, International Conference on Communication, Computation, Control and Nanotechnology held at Rural Engineering College-Bhalki, Karnataka, India, during October 29-30, 2010. Muhammad Faisal, M. Revanasiddappa, SC Raghavendra, “EMI Shielding Properties of Polyaniline-Carbon Nanotube Composites”, National Conference “Knowledge Utsav” at Jain University, Bangalore, on August 28, 2010. Syed Khasim, SC Raghavendra, M Revanasiddappa, Muhammad Faisal, Md. Rafi, “ Synthesis, Characterization and Transport properties of Polyaniline/γ-Fe2O3 Nanocomposites”, International Conference on “Convergence of Science & Engineering in Education and Research ; A global perspective in the new millennium” at DSCE Bangalore, India, coordinated by IEEE, from 21st to 23rd April 2010.